Amidst the hilarity that has since ensued (I recommend an Internet search for “binders full of women,” as well as a glance at this IntLawGrrls post), let’s pause to consider some data from the glamorous world of international arbitration. Attorneys Mark Baker and Lucy Greenwood of Fulbright & Jaworski collected information about arbitrator appointments for their article, “Getting a Better Balance on International Arbitration Tribunals,” which will be published in Arbitration International by the end of this year. Based on information provided by two major international arbitration institutions, among other sources, they estimate that women represent between 4 and 6.5% of recent appointments in international commercial cases. A similar picture emerges in investment treaty arbitration: Baker and Greenwood find that women account for 5.63% of arbitrators appointed in arbitrations administered by the International Centre for Settlement of Investment Disputes, or ICSID, and concluded between January 13, 1972, and January 18, 2012. Earlier this year, a publication entitled “The (lack of) women arbitrators in investment treaty arbitration,” by Osgoode Hall Law Professor Gus Van Harten, placed the number of women arbitrators in all known investment treaty cases until May 2010 at 6.5%. These numbers should cause disquiet in the international arbitration community. I’m sure all of us can instantly call to mind several female practitioners and scholars – in addition to Kaufmann-Kohler and Stern – who have established strong reputations. Women appear as counsel in high-profile arbitrations, win promotions in top law firms, publish articles and present at conferences. Why don’t they get appointed as arbitrators? The story behind Romney’s binders, as clarified the day after the debate, is instructive. 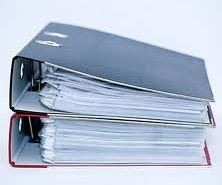 The binders were prepared by the Massachusetts Governments Appointments Project at its own initiative. Before and after the 2002 gubernatorial elections, MassGAP vetted women for each cabinet post and compiled information about top applicants. Its efforts paid off: two years into Romney’s term, 42% of the new appointments made by his administration were women (in the next two years, the percentage of newly appointed women in senior positions dropped to 25%). ► Periodically distribute profiles to practitioners and organizations in the field. And those of you who make appointment decisions may want to take active steps to ensure that the résumés of the best candidates, male and female, arrive at your desk – or on your computer screen. This post also appears on the blog, IntlLawGrrls: Voices on International Law, Policy, Practice.